Last month, some yahoo opened his mouth and said something incredibly ignorant about women…so ignorant that his vehement slurs almost tipped over into poetry. 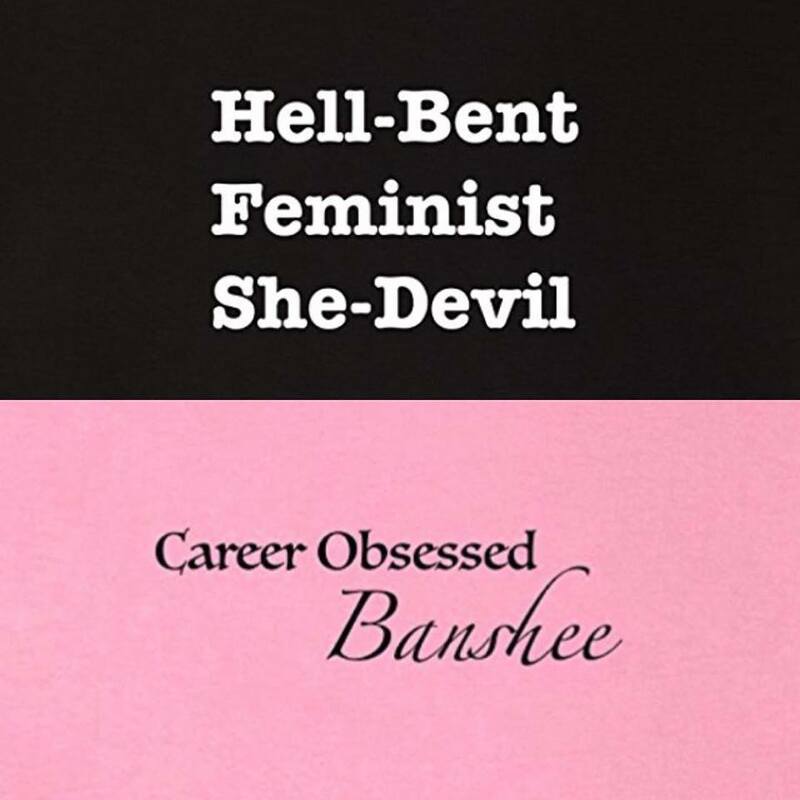 As soon as I read the phrase “Career Obsessed Banshee” I thought, THAT’S ME. One of my fairy goddaughters, having read the same bit of nonsense, was torn between that phrase and a different one, further down in the screed. So I made t-shirts out of them both. Want to browse all the Princess Alethea T-Shirt designs? Click here!